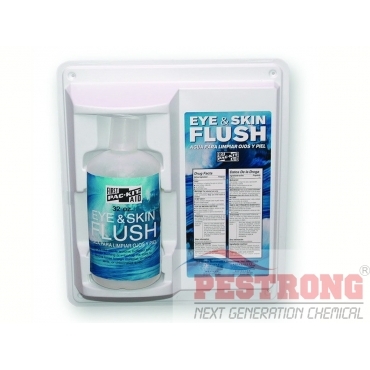 Where to Buy Emergency Eye & Skin Flush Station, Single Bottle Eye Flush Station Eyewash - $39.95 for Sale with Fast Free Shipping! Single Bottle Eye Flush Station Eyewash for install to the wall wherever emergency eyewash availability is required. Mounts on wall with screws (not included). This is great for emergencies. I own a small car repair shop and my shop don't got a lot of bathrooms. Just one, so if an accident happens while dealing with the car and my employees need to use the bathroom to wash something dangerous off, this takes care of that in case the bathroom is occupied. This work darn great too. Really gets the crap of ya. This thing's a great peace of mind for anyone of y'all that works with dangerous liquids.